A lot of us have been faced with the daunting task of climbing a rope in high school gym class, but very few people have ever actually been able to climb them. Of course, for some people that seems like a personal challenge right? So do you want to learn how to climb a rope? Well that’s definitely going to be possible once you see what we have for you. There are actually several ways that you can learn to climb a rope successfully and once you’ve done it, you’ll be able to do it every time. Of course, there are different types of climbing you may be trying to do. If all you want to do is get up a single rope hanging from the ceiling there are some impressive ways to take care of that, which we’ll talk about below. 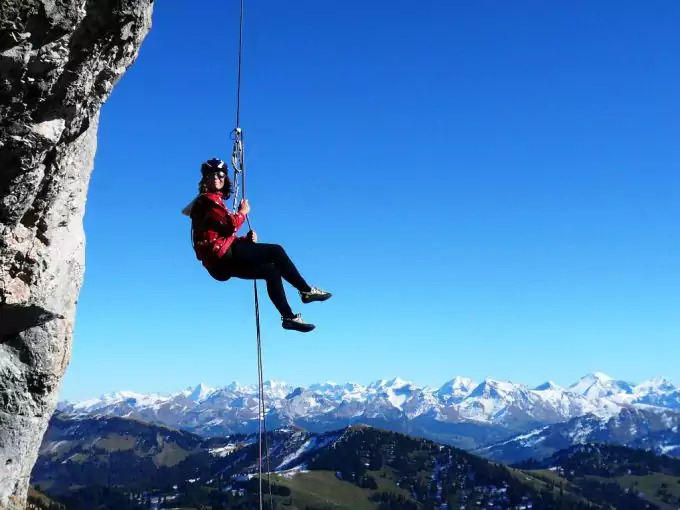 If you’re looking to use a rope to climb, for instance a wall or a rock face, you’re going to need a little different technique and definitely a little different tools and training. So we’ll talk about that option as well. That way, whatever type of rope climbing you’re doing, you’ll be able to do it a lot more easily (and quickly) the next time. Before you even get started actually climbing up that rope you need to understand a little bit more about the ropes themselves. 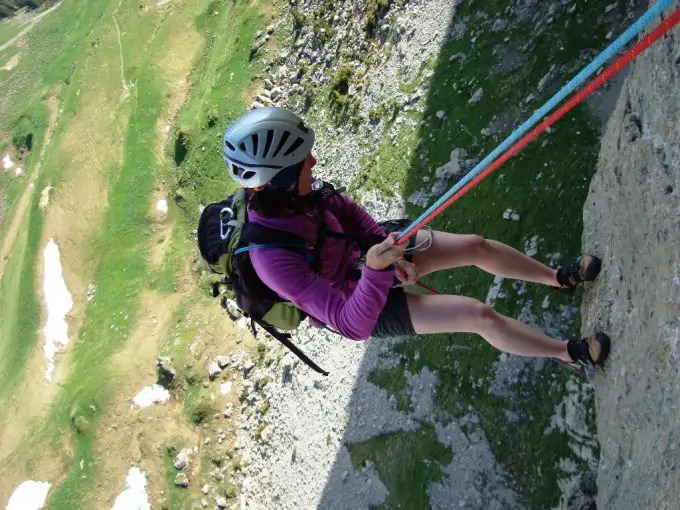 There are several different types of rope out there and depending on what you plan to do with it and how you’re planning to climb with it; you’ll need a slightly different type. For everything you want to know about climbing ropes, see our earlier article on the topic. You don’t want to get a rope and find out you’re not using it properly and you definitely don’t want to get a rope that can’t hold your weight and end up getting hurt. So how do you figure it out? If you’re using the rope to climb up something else you’re probably going to want what’s called a single rope. It comes in several different diameters and weights, but the most important one is the weight. Just because a rope is thin doesn’t mean it’s going to weigh less. Now don’t worry about how much weight it’s going to hold because that’s actually entirely different. The amount of weight you need to worry about (once you know it’s going to hold your weight) is that of the rope itself. The lighter the rope the easier it’s going to be for you to carry when you’re traveling to wherever you want to climb. This is the type you’ve probably seen hanging from your gym classroom. It’s a typical heavy-duty rope made with fiber in a tan color that looks pretty much like you’d expect a rope to look. It’s also pretty big around, making it capable of holding your weight consistently (meaning you have no trouble climbing up it and it continuing to support you). This type of rope does have large fibers however and it’s going to be rough on your hands. It’s also likely to shed so you could end up with fibers on you as you climb. 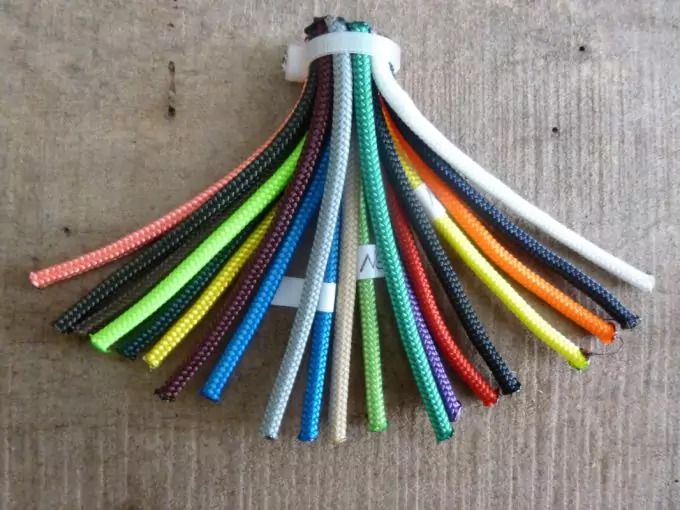 If you’re looking to climb a rope however, another one to check into is this one because it’s actually high quality and it provides a little bit nicer surface as you climb. It’s not going to shed and it’s going to be even stronger than the traditional Manila style. That’s definitely a benefit if you’re not completely sure about it holding you (though neither one of these ropes is going to have any problem with that). These ropes also tend to last longer than others. This is a more synthetic style of rope but that doesn’t mean anything when it comes to durability. 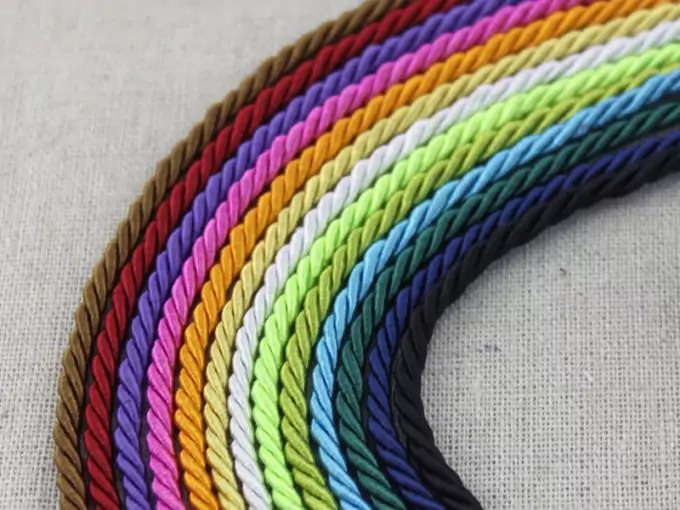 It’s a little better for your hands than the Manila rope but it’s still a rough, wide braid so it’s not going to be as comfortable as a nylon rope. 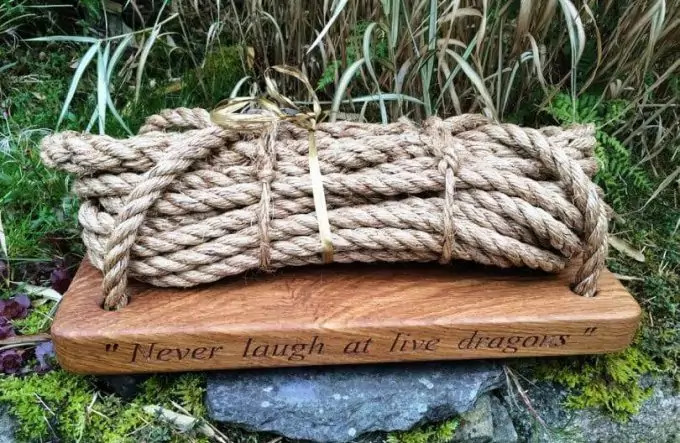 It’s very strong, but at the same time it’s much lighter than other forms of rope so you don’t have to worry about trying to lug it around with you. You can also use it easily without fear of stretching so if you are climbing frequently, it’s not going to get weighed down. To find out more, see our guide to the best kinds of ropes to give you more option.. If you’re not so sure about your upper body strength you can reduce the amount of weight you’re pulling by using your feet to brace and then hold your weight (at least somewhat) and then you’ll be able to pull yourself up with your arms a little easier. 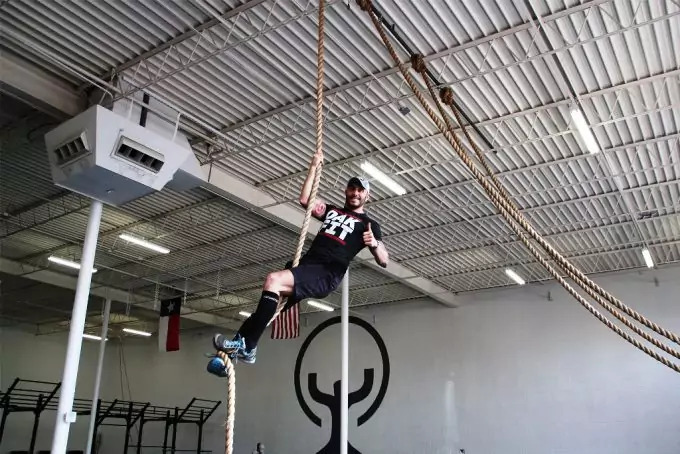 What you do is pull yourself up as much as you can (usually as high as you can reach) and then lift your legs off the floor and pinch the rope between your feet. Then you push yourself up a little with your feet while pulling up with your arms. 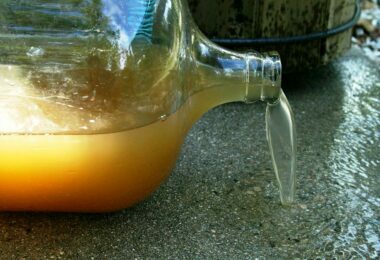 It makes the process just a little bit easier. This method is going to reduce the amount of strain that you have to use on your upper body and specifically your arms. 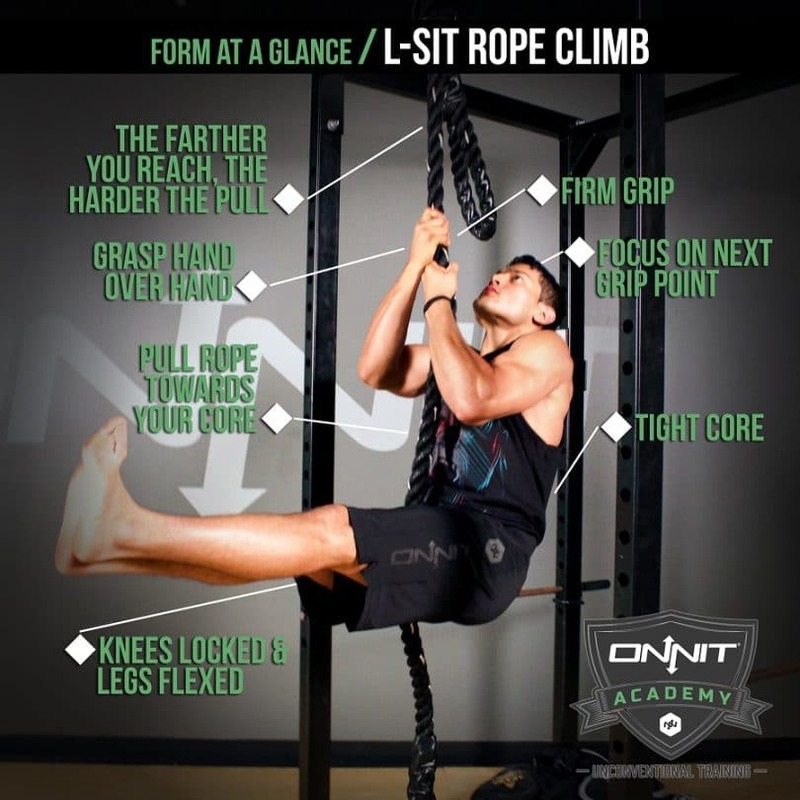 Instead, you’ll be able to use your legs a bit more to help you get up the rope faster and easier. (Since most people have more strength in their legs than their arms.). 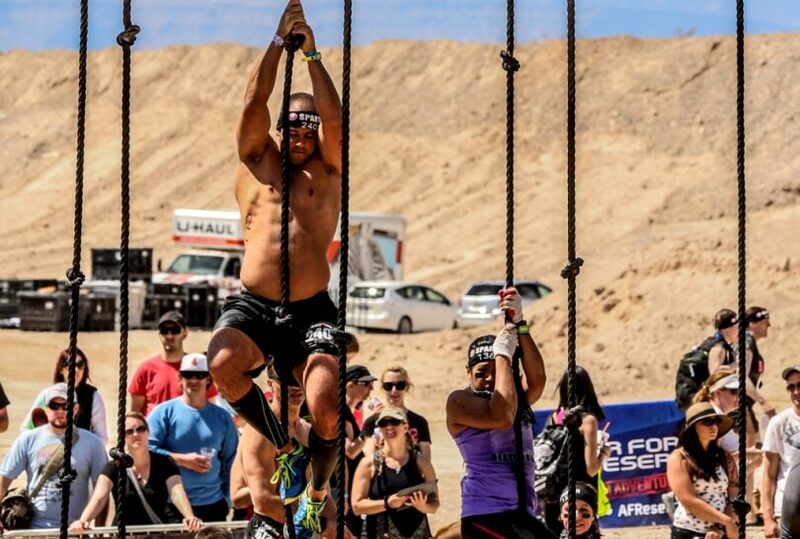 Grab the rope and let the rope fall down the front of your body. Pull yourself up so your feet are off the floor and draw your knees toward your chest. Take the foot on your dominant side and step down onto the rope. Take the foot on your non-dominant side and slide it under the rope, pulling your feet so they are next to each other. The rope should now be stiff all the way down to the side of your foot, wrapped under your dominant foot and over the non-dominant foot. Draw your knees up again and wrap the rope around your feet the same way, then push your legs down, allowing your body to slide up the rope. Repeat until you’ve made it all the way. If you have a strong upper body you can choose to use that body to get you up the rope in a more traditional way. This one means you have to have really strong arms because you have to be able to consistently pull your body weight up, all the way to the top. This is probably what you tried to do in gym class and weren’t quite as successful as you wanted to be. In this method, you grab the rope as high up as you can and then proceed to move one hand over the other all the way up. It’s definitely not easy and few can actually accomplish it without a whole lot of working out. But if you can … well more power to you because you’re one of a very few. Now, if you’re using a rope to get you up the face of a rock or wall, you can use the walk and you’ll find it’s actually a much easier method. What you need is a little upper body strength because you have to be able to hold your body weight while you’re walking. You grab the rope with both hands, keeping it in front of you and holding tightly. Now put your feet up on the wall or rock face and slowly walk up the wall, just like you would walk across a floor. Once you can’t move your feet up any higher you’ll need to move your arms up even further. Pull yourself up as much as you can, you’ll be at an acute angle with the wall. Then walk up even further. It’s a slow process, but it’s going to keep you moving at a reasonable speed and with a balanced amount of weight on your upper body. 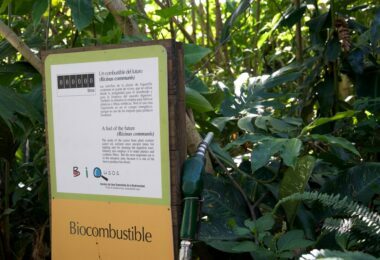 There are actually several different types of equipment you can and probably should use when you’re going to start climbing a rope. Sure you can do it all by yourself and skip out on the equipment, but you’ll probably find that it’s a lot more daunting of a task that way and you’re relying on your own body strength (entirely on your own body strength). You might be strong enough to do it all by yourself, but there are a whole bunch of us that are definitely not, especially when you think about the fact that it’s only your arms or legs doing it all. One of the most important tools if you’re using your rope climbing skills to actually climb a wall or rock is a harness. This tool should fit around your upper body and lower body, creating a sort of seat that you can sit in. It will also provide you with a level of security while you’re trying to climb. This harness is attached to the ceiling or above on a rock wall and you’ll be able to continue climbing without having to worry too much about how to support yourself. On the other hand, the harness is not going to help you with the climbing, only with supporting yourself. Different sizes of carabiners are extremely important as well. You want to make sure you’re checking all the weight limits of your carabiner before you begin. You need to be sure it’s going to hold your weight at all times if you were to just hang from it. Carabiners are going to tell you exactly how much weight they support. Take a look at our reviews of the best climbing equipment to help you. You’ll want to use a couple carabiners each time you climb so make sure both are capable of holding your entire body weight individually. If you need one that holds 200 pounds, for example, you should have two 200 pound carabiners, not two 100 pound ones. You want to be prepared for a carabiner failure after all. Of course, climbing a rope means you need to have a rope and you want a high quality one. There are different weights of rope that you can use depending on your purpose. 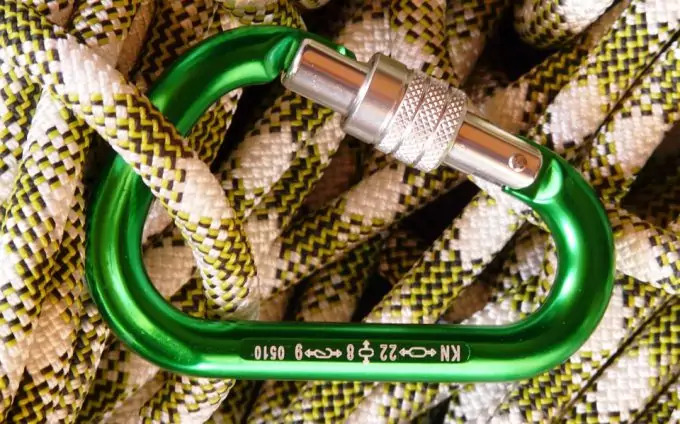 If you’re going to be only climbing the rope you can choose a much heavier and wider rope because it gives you a little more purchase as you’re climbing. If you’re using the rope to climb something else however, you’re going to want something thinner (though not too thin) so you can easily get your hands around it to climb (or get it out of your way to climb). For some people, the rough fibers of the rope can be difficult to work with so you want to make sure you’re prepared for that. 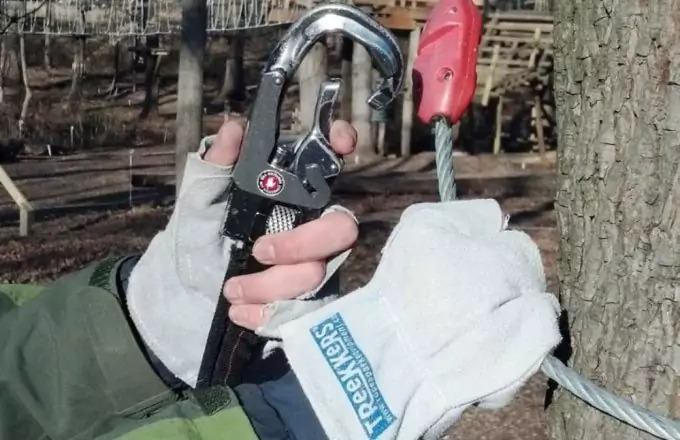 You don’t want to get rope burns on your hands from sliding and that can happen, even though the rope is rough and provides somewhat of a grippy surface. 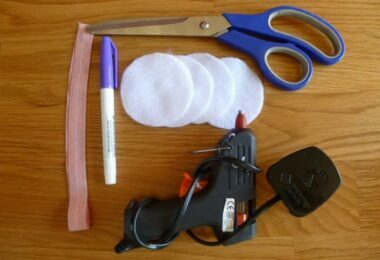 If you use gloves with grips on them you’ll have less trouble staying where you need to be when you’re climbing. You won’t slip and you won’t hurt your hands at the same time. So why should you even bother learning how to climb a rope or use a climbing rope? There are plenty of reasons, and you’ll definitely be better off for learning this skill because you always want to be prepared for the future. 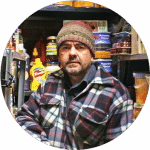 You never know what could come up or where you could find yourself someday and if you don’t have some basic skills, like this one, you could find yourself in danger, just because of something you could have learned if you only gave it the time. What if you happen to find yourself lost in the wilderness someday? You may not think rope climbing would be an important skill, but it’s going to keep you out of the way of your natural predators and that’s definitely going to be an essential skill. You don’t want to find yourself stuck on the ground all because you never learned how to climb a rope. Sure you could attempt to climb a tree, but a lot of trees out in the woods actually don’t have low branches and would you rather try climbing a tree that’s over twice as big around as you, or a rope? If you’re looking to get in shape this is an excellent way to do it. Lifting your own body weight is an excellent way to get started and you’ll be able to get your body in the best shape of your life. If you want to build up muscle you’ll probably be better off climbing up the rope just like in gym class all those years ago. If you’re looking to tone up, rock climbing and wall climbing can definitely help you do that in an easier way. You don’t pull your own body weight quite as much so it helps burn the fat without the added muscle. 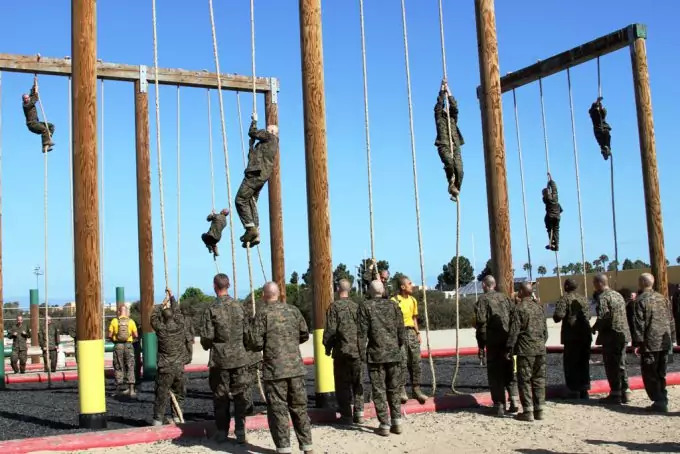 Someday you may want to join the Army or another branch of the military and they’re going to make you climb a rope. 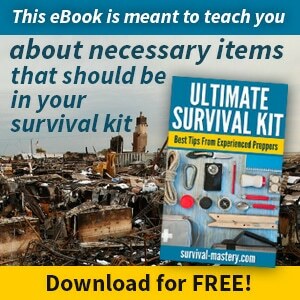 Sure you will have plenty of training before you get to that point, but if you’re already prepared it’s definitely going to be a bonus for you. By already having the strength and fortitude you’re also going to have fewer problems getting through some of the most difficult aspects of boot camp, since it’s going to be all about physical fitness and the shape you’re in. Rope climbing is definitely going to take some practice and some getting used to. You probably won’t just jump right on that rope and succeed the first time. But if you take a little time and you keep pushing yourself, you’ll be surprised what you’re able to do. So think about what your reasoning is for wanting to learn about rope climbing. You may have a completely different one, but obviously you have something because otherwise you wouldn’t even be trying. It’s definitely not something most people will do for no reason after all, especially since it’s going to be hard work and it’s going to take time and effort to succeed. The key, when you’re using a rope for climbing, is to make sure you always have the right tools. Make sure you have the right rope for your purposes and definitely make sure that you don’t miss out on something that could make the process easier. Learning how to climb a rope isn’t going to be as complex as you thought. It’s just going to be a little bit different than you thought because the traditional hand over hand technique is probably not going to cut it (if you’re like most of us anyway). You’ll need to start getting your legs involved.